PUTNAM COUNTY, Fla. - HaLeigh Cummings rode the bus home from kindergarten on Monday, Feb. 9, 2009, and, like many days, she was met by her dad, Ronald. Shortly after, Ronald left to work an evening shift at his job, leaving his live-in girlfriend, 17-year-old Misty Croslin, in charge. HaLeigh rode her bike with friends and did wheelies on the dirt road outside her father's double-wide mobile home in Satsuma. She ate dinner on the porch with her little brother, then the two of them went to bed about 8 p.m.
Croslin said she fell asleep in the same room with Ronald's kids about 10:30 p.m. When Ronald arrived home from work sometime after 3 a.m., Misty told him that she'd just discovered HaLeigh missing from bed. The rear door to the home was propped open with a cinder block. At 3:37 a.m., Ronald called 911. "I just got home from work," Ronald told the operator. "My 5-year-old daughter's gone. I need someone here now!" His next call was to his grandmother, Annette Sykes. "When I picked up the phone, he said, 'My baby's gone. My baby's gone. Get here, my baby's gone.' That's all he said," Sykes said. The Putnam County Sheriff's Office said it found no sign of forced entry in the trailer, but was uncertain whether the back door was locked. Ronald and Misty insisted it was. Ronald said that HaLeigh wouldn't have left home by herself at night because she is afraid of the dark. Dozens of agencies and hundreds of volunteers joined an extensive search of the area that began the morning of February 10 and continued for weeks. They searched on the ground, on area waterways and in the air, but there was no sign of sign of HaLeigh. Not even a clue to what happened to her. "Right now, our leads are very minimal," now-retired Putnam County Sheriff's Office Detective John Merchant said in a news conference hours after Haleigh disappeared. "We're asking for the public's help." A special phone line was set up and thousands of tips came in. Investigators chased all information that seemed to have merit, but they were all dead ends. Ronald went on TV to plead for his daughter's return: "Bring my child back. I'll give everything I own. All I want is my child." Investigators were skeptical about Misty's versions of what happened to HaLeigh because they said some of the details she gave them about that night changed. "The story didn't make any sense," Robert Mathis recently told News4Jax. Now a retired judge, at the time Mathis was in charge of the investigation for the State Attorney's Office. Law enforcement treated everyone -- family, neighbors, associates -- as a suspect until they could eliminate them. Haleigh's grandmother thought a stranger had abducted the girl. "I thought that maybe somebody that wanted a child really bad had seen her at the bus stop or something and fell in love with her like everybody else did and followed her home to see where she lived," Sykes said. "Maybe they came and got her." A month after HaLeigh vanished, Ronald and Misty were married, but by October, they were divorced. 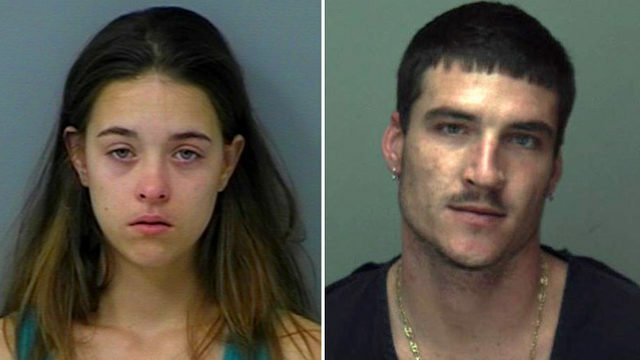 Eleven months after the 5-year-old's disappearance, the pair, along with Misty's brother and a cousin of Ronald's, were arrested in St. Johns County. Authorities said they had 330 pills of oxycodone and hydrocodone pills in the car with them. After separate trials, Misty and Ronald were each sentenced to prison: Misty is serving 25 years and Ronald 15 years. A year after HaLeigh vanished, tips to a special task force investigating HaLeigh's disappearance dried up. In April 2010, Putnam County Sheriff Jeff Hardy announced that investigators no longer believed she was alive. While the case remains open, it is classified as a homicide investigation. HaLeigh's great grandmother hasn't given up hoping and praying. "Nobody has any kind of proof whatsoever to show us she's deceased," said Sykes. "Therefore, we are waiting on HaLeigh to come home." HaLeigh's listing remains active on the National Center of Missing and Exploited Children's website and the community of Satsuma still clings to hope. HaLeigh's name remains on the sign outside Hill's Hardware Store in Pamona Park, 7 miles from where HaLeigh lived. "We want to remind the community that we've got a missing child," owner Kathy Scheffield said. "That name is still on the sign and it will stay there until she is found." Not only did HaLeigh vanish, there are no answers to what happened to her and no one has been charged in her disappearance. 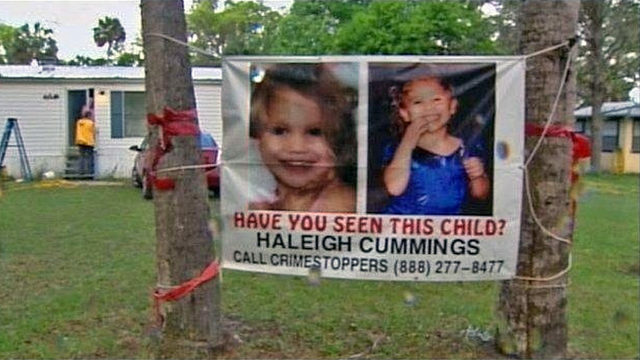 "I sit here today telling you: HaLeigh was not abducted by a stranger," now retired Putnam County Detective John Merchant he told News4Jax last month. HaLeigh's grandmother, Teresa Neves, refuses to believe that she is gone. "I just kept thinking it's going to be the next (tip)," Neves said. "It will happen. God's going to bring her home. Somebody knows. You know somebody knows. She just didn't disappear into thin air." 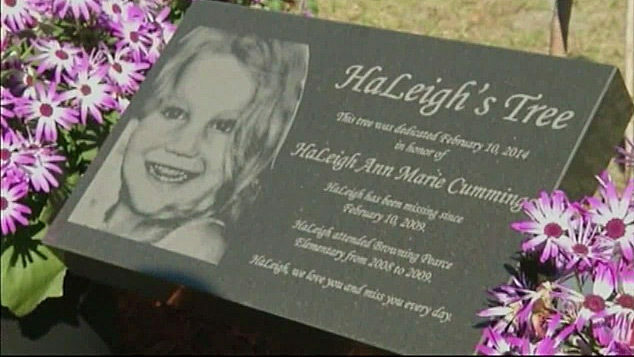 On this poignant anniversary, News4Jax is hoping renewed attention to this case will generate new information about what happened to HaLeigh. Anyone who witnessed or knows anything about the disappearance of the kindergartner is urged to call Crime Stoppers of Northeast Florida at 888-277-TIPS. Callers can remain anonymous and be eligible for a $15,000 reward for information leading to an arrest in this case. 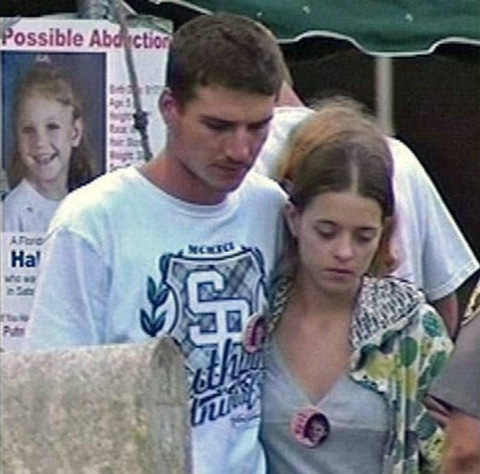 Over the next week, you'll hear theories from investigators about what happened to the 5-year-old, more from family members and other residents of Putnam County about the day HaLeigh vanished and what has and hasn't happened over the past decade. Watch the reports at 7 a.m. Monday through Friday on The Morning Show and return to News4Jax.com/HaLeigh for updates.